Think you know everything about the cutie-pies we call “Frenchies?” Think again! Here are 6 incredible French Bulldog facts you probably did not know! They actually come from England! 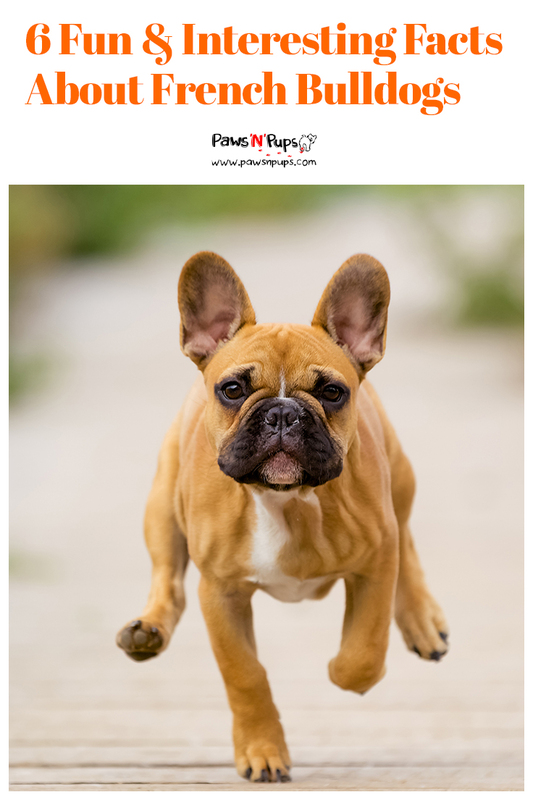 The French Bulldog Club of America gives a detailed history of this “French” breed’s origins. French Bulldogs can trace their roots back to the older English bulldog. This early bulldog breed was used for the sport “bull-baiting” until the sport was outlawed in 1835. With many dogs left unemployed (and safe from this dangerous sport!) breeders began experimenting to create a smaller version of the bulldog as a companion pet. These smaller dogs weighed between 12 and 25 pounds and were some of the earliest versions of the French bulldog.These first French bulldogs were popular among the lace-makers in England. During the Industrial Revolution, the lace-makers left their homes seeking work. They traveled to France, taking their tiny bulldogs with them. The people of France became so enamored of these precious little dogs, that a successful trade business was sparked between England and France.So while the little bulldogs originated in England, it was in France that they truly gained popularity. 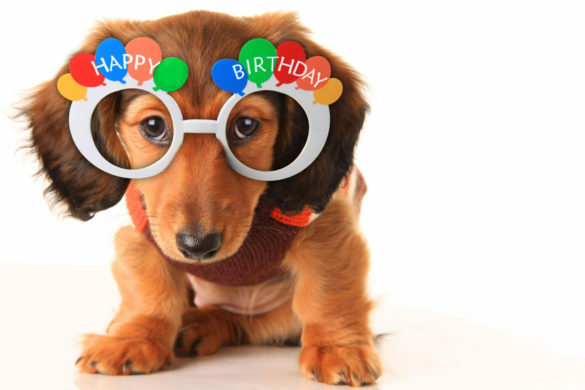 Wealthier French citizens made the dogs fashionable and desirable. Their first major boom in popularity was due to this high demand – christening the dogs with the name French bulldog. Finally, in 1898 the French bulldog became an officially recognized breed with the AKC. The French bulldog continued to remain popular among wealthy citizens in the early 20th century. Their owners absolutely adored them. So much in fact, one wealthy French bulldog owner was willing to pay for his pup to ride on the Titanic!Gamin de Pycombe was a French bulldog who had the honor of riding aboard the Titanic with his owner Robert Daniel. Gamin was one of twelve dogs aboard the ship – and was the only French bulldog. The ticket price for a dog to ride the Titanic was equivalent to that of a small child. But that price must have been worth it for Daniel. According to the French Bulldog Club of America, Gamin de Pycombe was purchased in England for £150 – that equals $17,000 today!Gamin the Frenchie was only two years old when he set sail on the Titanic in 1912. Unfortunately, Gamin did not survive the sinking. But the little French bulldog’s legacy lives on. James Cameron intended to include images of the dog aboard the ship in his film Titanic. He even filmed a scene of the French bulldog boarding the ship with the other canine passengers. These scenes were cut from the final version of the film. You may think that because of their short coat, French bulldogs would thrive in warm weather. While the short coat certainly helps with heat tolerance, long periods of outdoor activity in warm weather are not the best way to spend quality time with your Frenchie.The French bulldog has a short (and utterly adorable) face and nose. This short face shape makes a Frenchie’s breathing less efficient than their longer-nosed canine cousins. 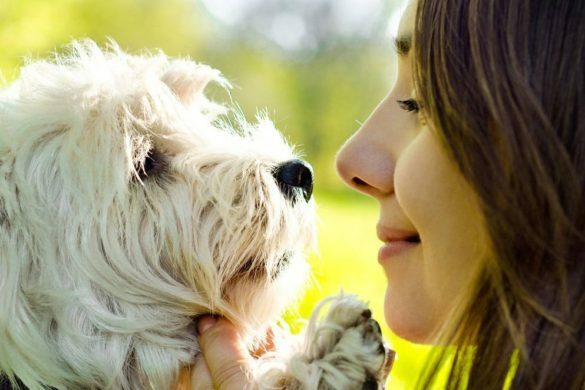 The AKC states that because of this, your Frenchie may experience difficulty breathing in stressful conditions. These conditions can include intense exercise, high stress situations or agitation, and – you guessed it – heat.This doesn’t mean a French bulldog can never set foot in the warm sunshine! It’s important to keep your French bulldog happy and comfortable in warm weather. Don’t leave them out in the heat for too long. Avoid high-intensity exercise when the weather is hot. After playing outside in the heat, provide your Frenchie with access to an air-conditioned environment. And of course – drink plenty of cool water! It’s true, that cute-as-a-button nose can cause a few breathing difficulties in a French bulldog, particularly in high heat. But the other culprit? Heavy exercise. By no means should you never exercise your French bulldog. But let’s face it: not every dog owner wants to be going on long trail runs every day. 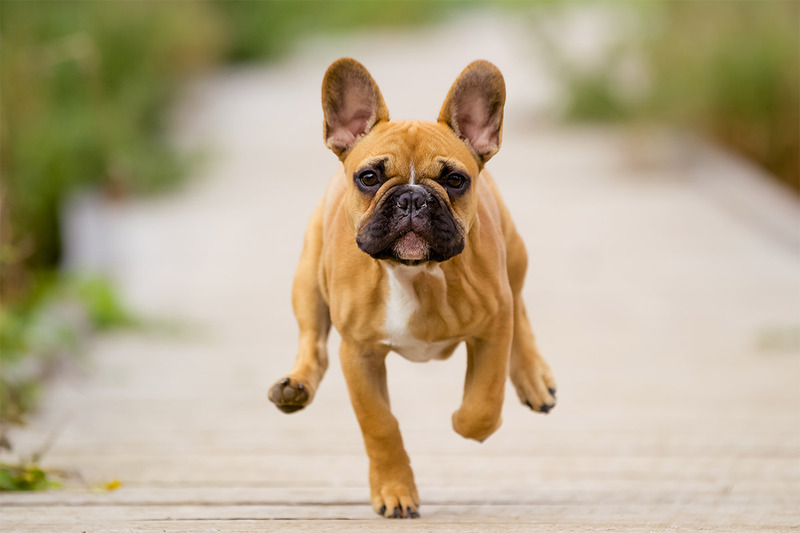 And truthfully, French bulldog’s don’t need or want it!Due to their small stature, a short walk once a day is typically enough to keep your Frenchie fit and happy. This is great for those dog owners who like to take a slow walk in the park or a quick stroll around the block. And if you have a sociable Frenchie, a quick visit to the dog park is a great way for your little bulldog to stay healthy and happy. Joggers need not apply!But besides requiring only light exercise, French bulldog’s really love to snuggle! 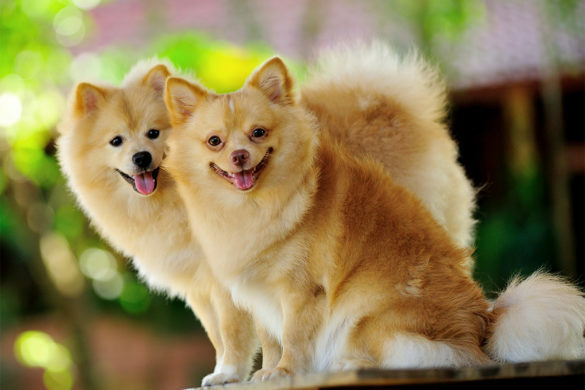 The breed standards that they are known for include being affectionate, loyal, and eager to please. Want to binge on your new favorite television show tonight? No problem! Your Frenchie will be happy to spend hours on your lap any time of day. We’re not talking about one or two paintings featuring a Frenchie. No, we’re talking about an entire exhibit devoted to the one and only French bulldog! At the AKC Museum of the Dog an exhibit entitled “Send in the Clowns” was on display, featuring artwork that depicted the French bulldog in many different styles. The exhibit ran from February 18th to May 13th, 2012 and was the first of its kind.The museum displayed porcelain statues, bronze figurines, paintings, and even jewelry – all depicting either the face or the full form of the French bulldog. Many of these items were on loan from generous collectors.While the French bulldog exhibit is now closed, you can still visit the AKC Museum of the Dog in St. Louis, Missouri. Their permanent exhibit features works of art showcasing multiple dog breeds. And the museum is dog friendly! If your dog is well-behaved on leash, you can bring your pup with you to view the artwork. It seems that ever since the people of France took a liking to the little bulldogs, their popularity has only increased over the years. In fact, a year before the breed was even recognized officially by the AKC, the French bulldog was featured on the cover of the Westminster catalog. Since then, the French bulldog has been honored through various organizations such as the French Bulldog Club of America and the French Bulletyn, a magazine devoted to Frenchies. Today the AKC ranks the French bulldog as the 6th most popular dog breed in the USA! And it’s no wonder! French bulldog’s are extremely adaptable to apartment and city living, making them an excellent choice for densely populated areas. 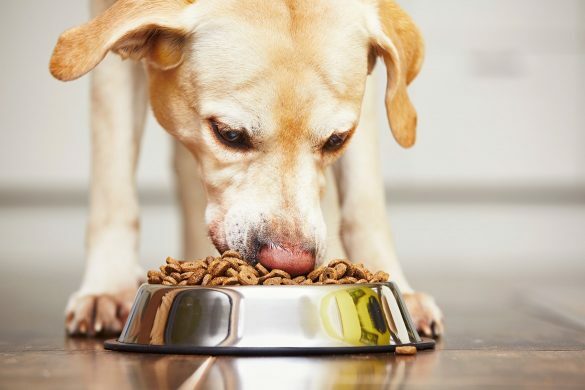 This is due to their small stature and low-maintenance daily care. They are also hugely popular in Hollywood. Celebrities such as Lady Gaga, Carrie Fischer, Hugh Jackman, and Dwayne “The Rock” Johnson each call at least one French bulldog their furry companion. Who knows? Maybe one day these lovable little bulldogs will reach the number one spot for the most popular dog breed.